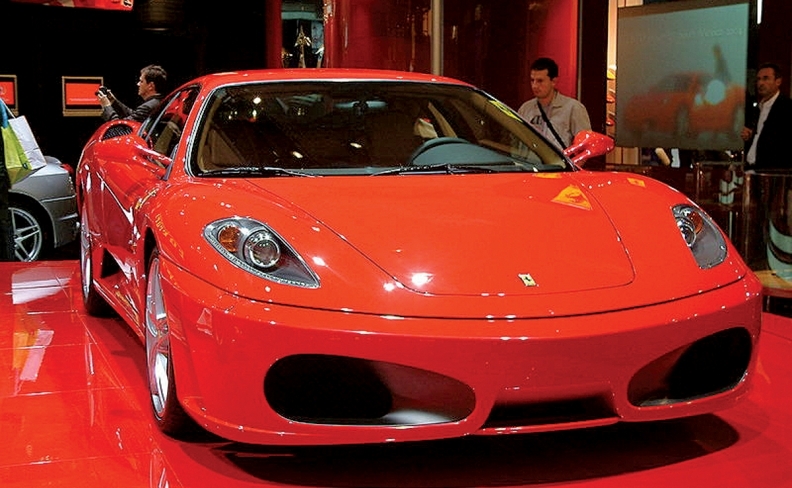 After a jury's fraud judgment — and an eye-popping $5.8 million award — over the sale of a used Ferrari, an Arkansas dealership is arguing that the punishment does not fit the alleged misdeed — or the law. When Virginia resident Hamid Adeli sued Mercedes-Benz of Northwest Arkansas for fraud over his purchase of a used Ferrari, a jury awarded him $6,835 in compensatory damages, $13,366 in incidentals and the $5.8 million in punitive damages. The Bentonville, Ark., dealership, part of Superior Automotive Group, is appealing that September verdict as out of touch with precedent and constitutional law. Saying the verdict "shocks the conscience," Superior is seeking to reduce the punitive damages award from $5.8 million to $27,340, or about four times the compensatory award of $6,835. "It was fueled by passion and prejudice," the defense wrote in an October filing. "The evidence did not warrant the extreme and outrageous punishment fashioned by the jury." And the jury award may not hold up. In a court filing earlier this month, Adeli's own lawyers argued that legal precedent exists for an award of 99 to 1 for punitive damages. That would put the amount at $676,325, a significant reduction from the jury's decision. Adeli's suit centers on a 2007 Ferrari F430 purchased in 2016. Adeli bought the car without visiting the dealership, relying on phone calls, text messages and video chats with dealership personnel. Mercedes-Benz of Northwest Arkansas put the Ferrari through a pre-purchase inspection at a Ferrari dealership in Plano, Texas. Adeli agreed to buy the F430 for $90,000, and the dealership shipped it to a location a few miles from the mortgage banking professional's home in Fairfax, Va.
On his short drive from the delivery site, Adeli reported smelling gas, and the odor worsened overnight as the car sat in the garage at his home. The next morning, after talking to a sales manager at the Mercedes store, he had the car towed to Competizione Sports Cars of Maryland, a vaunted Ferrari mechanic in his area. There Adeli was told about allegedly undisclosed issues, such as a leaky fuel pump, suspension problems and a cracked exhaust manifold, according to court documents. After Superior declined to pay for the issues, arguing the car was sold as-is and in working order based on its inspection, Adeli sued for breach of warranty, fraud and deceptive trade practices. The jury trial focused on the exhaust manifold issue, because the inspection at the Texas Ferrari dealership did uncover an issue with it. But it was not worked on, according to a repair work receipt for the car that was given to Adeli. The Mercedes dealership did install a new clutch, fuel sensor and made "various other" repairs, according to court documents. The dealership argued at trial that the inspection turned up just a sign of a potential issue with the exhaust manifold down the road, one that is apparently common for that car but wasn't something that needed to be immediately addressed.